Do you know the difference between a caffe cubano and a cappuccino? Or maybe an espresso romano and a flat white? If you do, we applaud you. Espresso is used to make lots of different drinks, so we understand that it can be confusing at times trying to distinguish between them. We have therefore put together a list of many types of espresso and espresso-based drinks. 1st in Coffee has the perfect espresso machine to make these drinks, the Jura Z6, with new technology to make the perfect aromatic expression. We’ve decided to create a two-part blog post for the different types of espresso drinks, since there are so many different types of drinks. For this first installment, learn about the different types of pure espresso and many espresso-based drinks such as the café Americano and café crema. How many among these do you already know? Ristretto is the first ¾ ounce of espresso of the extraction. It is called a “short shot.” Ristrettos tend to have a bolder and fuller taste than the standard shot of espresso. If used to make an Americano, it’s less bitter in taste and has a better quality for espresso. The meaning of ristretto is “limited” or “restricted” in Italian. Called the “long shot,” it is a 1.5 ounce shot of espresso. Because it uses more water, the result is a stretched coffee. A lungo can take up to one minute, which is more time to pull. Generally, espresso takes between 18 and 30 seconds to pull. The French call it café allongé. A double shot is a 2-ounce shot of espresso. It also uses twice the amount of coffee. “Just add water” could easily be the tagline, because this is all that is done to espresso to make a Caffe Americano. Water is added to espresso, and gives it a different taste from drip coffee. 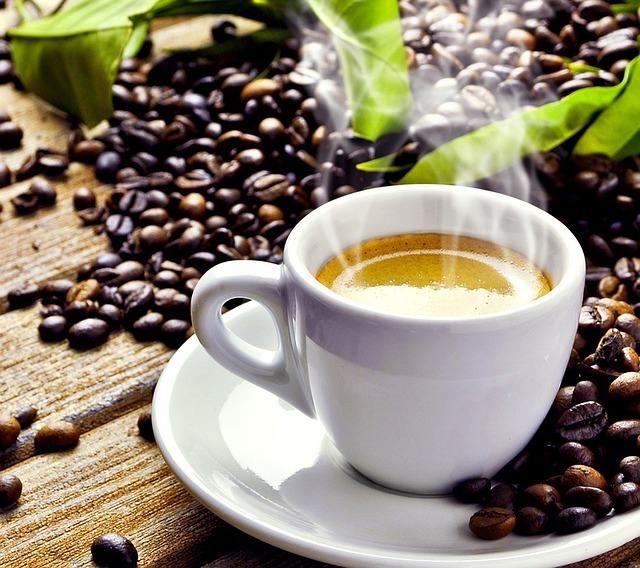 It generally includes a single or double shot of espresso with 6 to 8 ounces of hot water. As far as specifics go, it doesn’t matter whether espresso is added to water or the water is added to the espresso. The taste comes close to the actual taste of regular coffee. The drink takes its name from its place of origin, Cuba, after Italian espresso machines were imported to Cuba from Italy. The espresso in a Café Cubano uses demerara sugar to lightly sweeten the drink, but also includes other drinks using espresso from Cuba for its base. It speaks to the social origins of espresso, since coffee drinking is a social experience in Cuba. Café Cubano can also be found in Miami, West Palm Beach, the Florida Keys, Tampa, and throughout the Cuban exile community. It’s a local staple in the coffee shops of Miami. Caffe crema has two variations, and one is the general name for espresso in the 1940s and 1950s. It is now primarily the name for a long espresso drink along the Italian/Austrian and Italian/Swiss borders. No mask included. It is a double shot of espresso (doppio) that is added to water at a ratio of 1:1. Espresso Romano is a simple shot of espresso, but the only difference is that a lemon is served along with it on the side. It might also be added to the rim of the cup to highlight the sweetness of the espresso. It has nothing to do with Italy or Rome, in spite of its name. It’s one or two shots of espresso poured over lime slices. It can also be served chilled over ice. One shot of espresso with milk in a ratio of 1:1. Half milk and half cream added to espresso. Espresso with sweetened condensed milk added at a 1:1 ratio. It was popularized in Valencia, Spain. It’s usually served in a glass for the visual of seeing the condensed milk seep into the coffee for the effect of the color contrast before the milk and coffee combine. Cafes sometimes serve the drink with a packet of condensed milk so that customers/guests can stir it in themselves. This concludes Part I for the many types of espresso drinks. Stay tuned for Part II, where we’ll finish the list. Again, the Jura Z6 is a great place to start, and finish, with a great shot of espresso or any one of the above-mentioned drinks.